While we need to keep moving forward, the Greater Washington region is already making moves toward walking and bicycling. Wolftrap Elementary School in Fairfax County, VA. Photo by Jeff Anderson. Learn more about proposed legislation in Prince George’s County that would require developers to provide bicycle and pedestrian access within one-half mile of their development. We do it for cars, now Prince George’s wants to do it for everyone! There is also an established Green Fund which will fund green and complete streets. The fund currently has a $17 million dollar commitment from the County Executive. And that is not all. Communities in Maryland and D.C. are committing their own funds to Safe Routes to School programs. 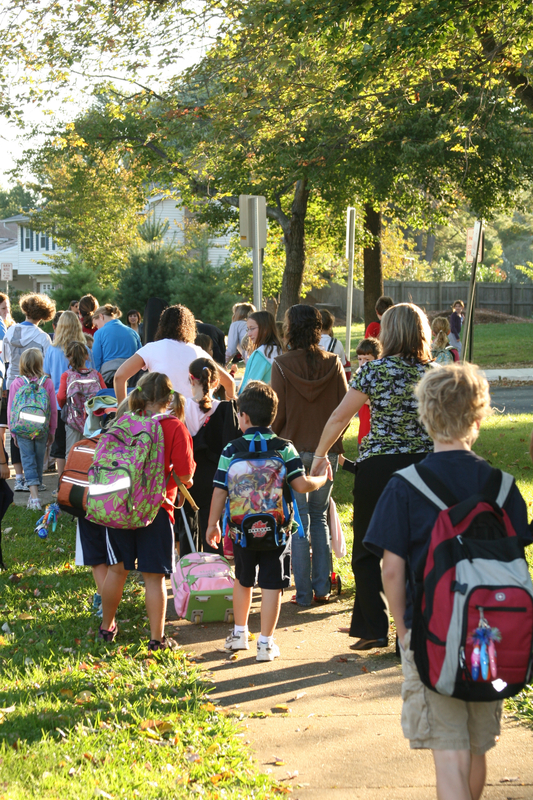 Communities in Virginia are taking extra steps to ensure kids are safe and able to walk or bicycle to school. For example, Fairfax County Public School Board adopted a policy stating that is the parents’ choice to allow children to walk or bicycle to school. For more details, check out the blog on the Safe Routes to School National Partnership website.